Create a feature wall in your home with our fabulous, elegant and stylish large mirrors, available in an abundance of designs. Whether it’s a traditional, contemporary, or a modern environment you wish to complement, our selection is bound to give you the inspiration you’re looking for. Large mirrors can be great for opening up your living space and letting light reflect to create the illusion of a bigger room. With floor length and oversized mirrors becoming an extremely popular addition to many homes, you can discover a wide range of these, that would all look beautiful mounted or leant up against the wall. Due to their size and length, large mirrors can be a great piece of decoration for your interior design for your living space. Alternatively, choose a large mirror you can put to good use during your morning routine. With a vast range of versatile mirrors, Mirror Outlet have everything to suit all personal tastes and your individual requirements. Take a look at our diverse range, suitable for any living area in your home. 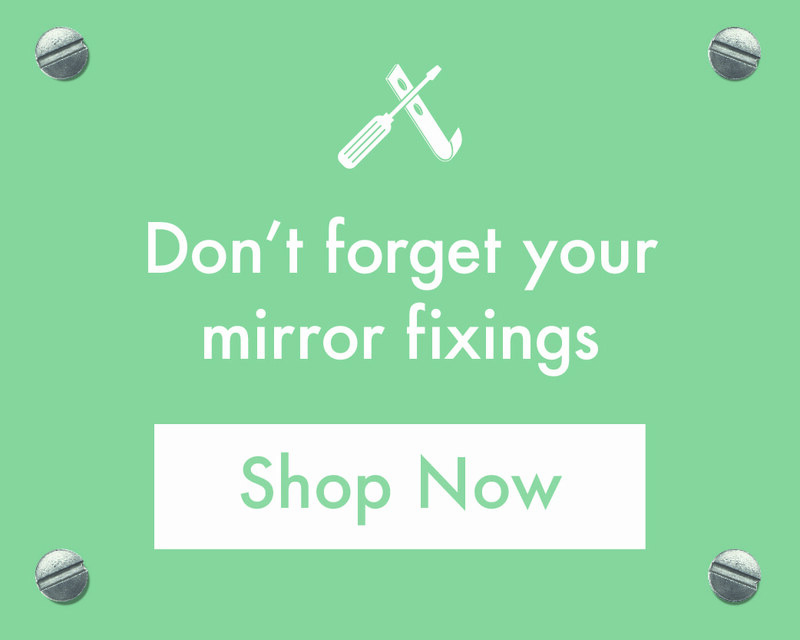 Open up your living space, bedroom or hallway with a over-sized mirror from Mirror Outlet, the UK’s largest online mirror retailer. We have hundreds of products to choose from in a wide range of colours to help you add the finishing touch to your home. From ornate, detailed designs to contemporary chic mirrors, make sure to check out affordable mirrors in our clearance sale. How much does a big mirror cost? The price of your large mirror will fully depend on its style, size and shape. At Mirror Outlet we have a large mirror to suit everyone's budget, with our prices ranging from under £50 all the way to over £600! So, whatever budget you are operating on, you can be assured that we have a large mirror within our stock that suits your requirements. If you are overwhelmed by the sheer choice of large mirrors that we have available and would like some inspiration to help you find your dream product, then be sure to take a look at our gorgeous Abbey Silver Extra Large Leaner Mirror. Or if our Abbey Silber Extra Large Leaner Mirror isn't what you are looking for, another large silver mirror that is also massively popular among our customers is the stunning Abbott Vintage Silver Elegant Detailed Extra Large Leaner Mirror. As the UK’s largest online mirror retailer, we take the utmost care when delivering your new purchase. Mirror Outlet offers free nationwide delivery, ensuring that your mirror arrives safely and quickly. If you are not completely happy with your extra large mirror do not worry, we also offer free returns and exchanges. Find the perfect mirror to compliment your home by browsing mirrors by category.